Are Absolute Black Granite Window Sills Right for My Home? When it comes to window sills, wood continues to be the standard choice. However, many homeowners want their property to stand out and feel a little more luxurious. When you want something that rises above the standard wood finish, consider absolute black granite for an elegant touch and updated look. The color works with any décor, it’s easy to maintain, and it will look great in any home. If you’ve been considering going with this dark color but you’re still not sure, then you may want to consider these interesting details about black granite sills. Granite is turning into the gold standard for updated kitchens. It’s what buyers look for, and many homeowners make the decision to go with this upgraded material when they’re investing in remodeling services. If your home has a window in the kitchen, you want the material in the sill to be every bit as luxurious as the counters. Replacing the wood sill with luxurious black granite will take the entire room to a higher level and help tie everything together. If you aren’t going with black counters, then you can use the black window sill to create a fun and elegant accent point that will look great and become a source of pride for you. One of the challenges with any window sill is that the sun streaming in can damage the sill or reflect off a light color. While a high level of light reflection is desirable in spaces that tend to feel dark, it’s not the right choice with all areas. If your room is well lit and tends to be very bright, then you may want to consider black granite to help tone things down. Black absorbs light, so the entire finish will feel softer and more welcoming. In addition to softening the light coming into the room, you’ll also find that the granite is more resistant to UVA and UVB damage. Forged by nature and used extensively in exterior applications, black granite will work well in any window that is regularly exposed to the sun. Black granite is very easy to clean, and that makes it a top choice with people across the country. While wood needs to be dusted and polished, granite just needs to be wiped down with a damp cloth. Dirt can become trapped in wood grains and other materials, but this isn’t a concern with the closed pores and waterproof nature of granite. Dirt is unable to infiltrate the surface, so it’s easily wiped away. You have a busy schedule and a great deal going on in your life, and you’ll have more time to focus on the important things in your life when you have luxurious materials that look great and are easy to care for. Some people worry about staining, but it’s possible to give the stones an added layer of protection by applying a sealer to the granite occasionally. People often think of wood when they want neutral building materials, but the fact is that black is actually another neutral choice. Black granite is a traditional choice that works with every décor from traditional to contemporary, and it works beautifully with all other colors. Whether you have floral shades in your curtains or a colorful geometric pattern in the rug, you can be confident that the basic black window sill will look amazing. Most people will have the window frame finished off with a brilliant white to contrast against the black, but you can also have it finished in a traditional wood grain for a softer, more inviting look. If you have large beautiful windows throughout your home, then you may want to bring more attention to them. 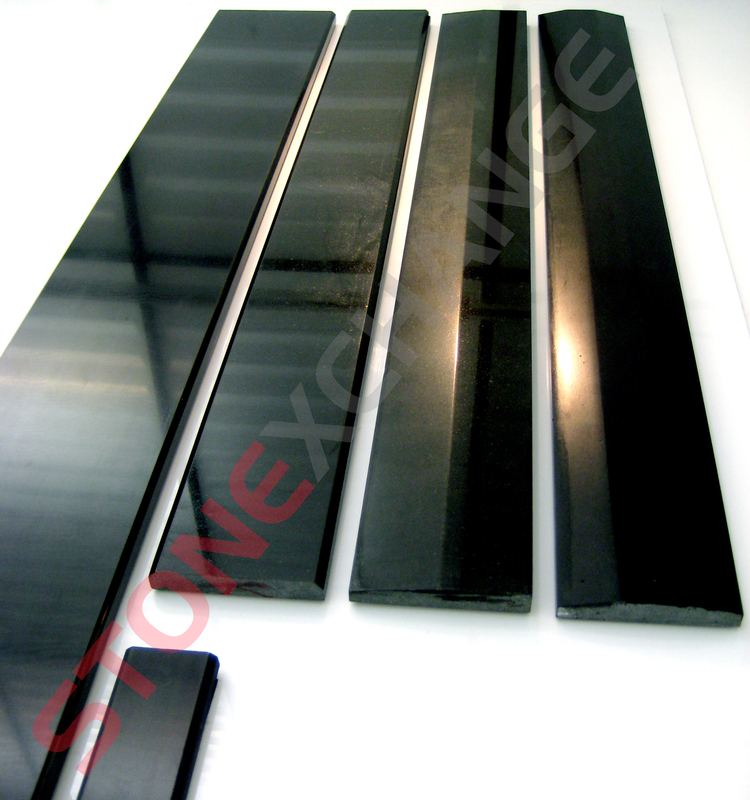 One of the best ways to highlight this great architectural feature is with sleek, black granite window sills. The dark color will draw a little more attention to your windows without being overwhelming. As a result, people will take notice of your gorgeous windows as part of the overall living area. Your room will feel more elegant, and you’ll never grow tired of the fresh look. If you’re installing bow windows or unique shapes, then you can also have the granite custom manufactured to create a perfect fit with minimal seams. Use the black finish in windows throughout your home to bring more attention to these important design elements. When you’re using black accents in other areas of the room, granite window sills are a natural choice. If you’re using black or dark hardware throughout the room, then bringing in black window accents will help you tie everything together. Consider the colors in your flooring and fixtures before choosing the right finishing material for the window sills. The counters in your bathroom or kitchen don’t have to be solid black to look amazing with the black sills. Any countertop with shades or spots of black in the pattern will be accented beautifully with granite window sills. Modern windows that are made with a black metal finish also look amazing with black sills that help tie the look together and give it an elegant finish. Here at Stonexchange, we take pride in offering our clients excellent service and quality products. We maintain excellent cost-control measures so that we can pass wholesale prices on to our customers. Contact us today to make your purchase and see how quickly we can have your order shipped to you.